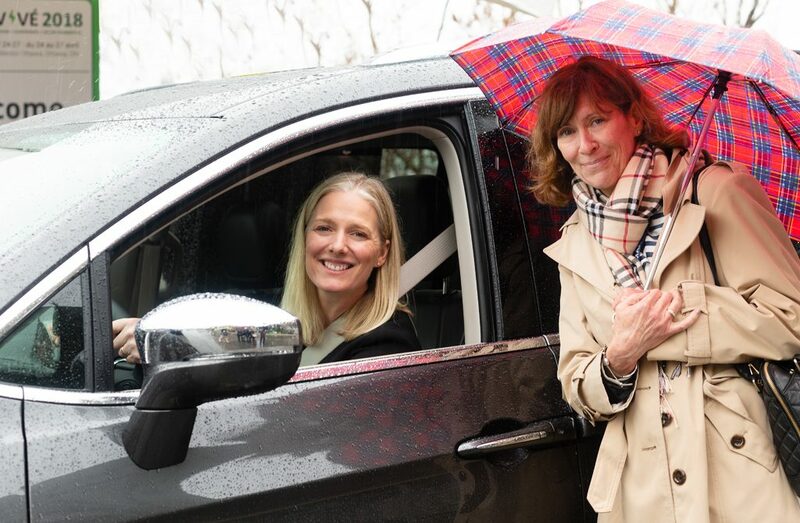 On April 25th, MPs, ministers, senators and government staff were invited to test drive electric vehicles at the EV2018VÉ Ride N’ Drive near Parliament Hill. Eight electric vehicle manufacturers were be available for test drive at this special event. The Minister of Environment, Catherine McKenna, made an appearance as well as many others MPs and government staff. The Minister of the Environment, Catherine McKenna, with EMC President & CEO, Chantal Guimont.